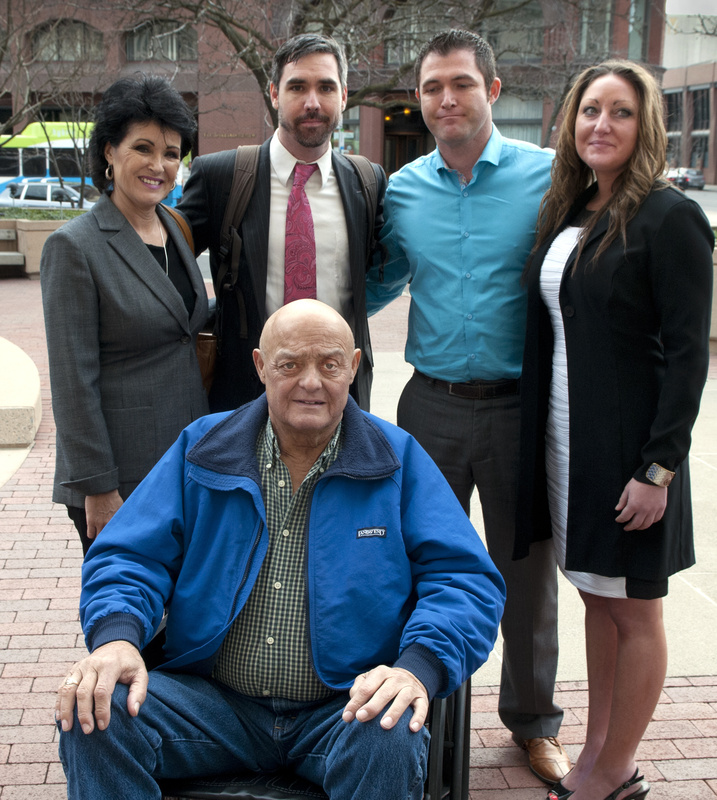 A federal judge rejected the medical marijuana defense of a member of the so-called “Kettle Falls Five” growing family and sentenced Jason Lee Zucker on Friday to 16 months in prison. “We found his testimony to be believable, credible and reliable,” Baunsgard said. Firestack-Harvey and the Greggs are scheduled to be sentenced in October. They face potential prison sentences of up to 20 years but will argue for supervised release from custody. Prosecutors dropped charges against the fifth defendant in the case, Larry Harvey, after doctors diagnosed him with terminal cancer late last year. Each member of the family said they had medical marijuana cards and believed they were operating within state law. Zucker broke his back in a snowboarding accident in 2000 and obtained a medical card. All of the defendants, including Zucker, remain out of custody pending appeals. Zucker told Rice he regretted helping the Harvey family, calling the two-and-a-half years since federal authorities raided the Stevens County property “a nightmare.” Authorities seized plants, business records and two firearms at the home. The guns, which the Harveys say were used for hunting, attracted federal interest in the case, said Zucker’s attorney, Frank Cikutovich. “They thought, for all intents and purposes, that it was legal,” Cikutovich said. Cikutovich said Zucker’s decision to take a plea deal and testify against the Harveys prompted threats and caused anxiety for his client, who already had a criminal marijuana conviction on his record when he was arrested in 2012. Because of that conviction, he was facing a mandatory prison sentence of five years. “He had to make a decision about which family was more important to him,” Cikutovich said. In the gallery at the U.S. Courthouse in Spokane on Friday morning were Zucker’s wife, 3-year-old daughter and several friends and family members who traveled from as far away as New Mexico. Also present were Firestack-Harvey and Michelle Gregg. Heather Zucker, Jason’s wife, asked for leniency for the sake of the couple’s young daughter. “I don’t know how to explain to a 3-year-old that her father is in prison,” Heather Zucker said, as her daughter played with coloring books in the audience. Cikutovich also pointed out that since the case was originally charged, public opinion about marijuana – and several state laws – had changed, saying “the barn door’s open.” He also said Jason Zucker was misled by the lenient attitude toward marijuana growing in Western Washington compared to the strict stance of the U.S. Attorney’s Office in Eastern Washington. “Things have changed, but unfortunately he will not be the beneficiary of that,” Cikutovich said. Rice found none of the arguments compelling. “I’m not quite impressed with you,” Rice told Zucker. He said his hands were tied based on Congress’ stance toward marijuana, continuing to schedule the drug on par with heroin, LSD and ecstasy as having no medicinal benefit, despite 23 states and Washington, D.C., adopting laws legalizing medical markets. Marijuana remains an illegal controlled substance under federal law. “In a sense, you’re playing Russian roulette with the DEA,” Rice told Zucker. He advised the 40-year-old Seattle resident to get out of whatever marijuana businesses he was involved in. But Rice also lifted a curfew and travel restrictions that had been placed on Zucker following his arrest. He also granted a request that Zucker be released pending the outcome of an appeal of the case, which must be filed within 14 days. Cikutovich said that appeal would be filed soon. In addition to the prison sentence, Rice ordered a $5,000 fine and four years of supervised release. Zucker embraced his pregnant wife and each of his supporters on the way out of the courtroom Friday morning.